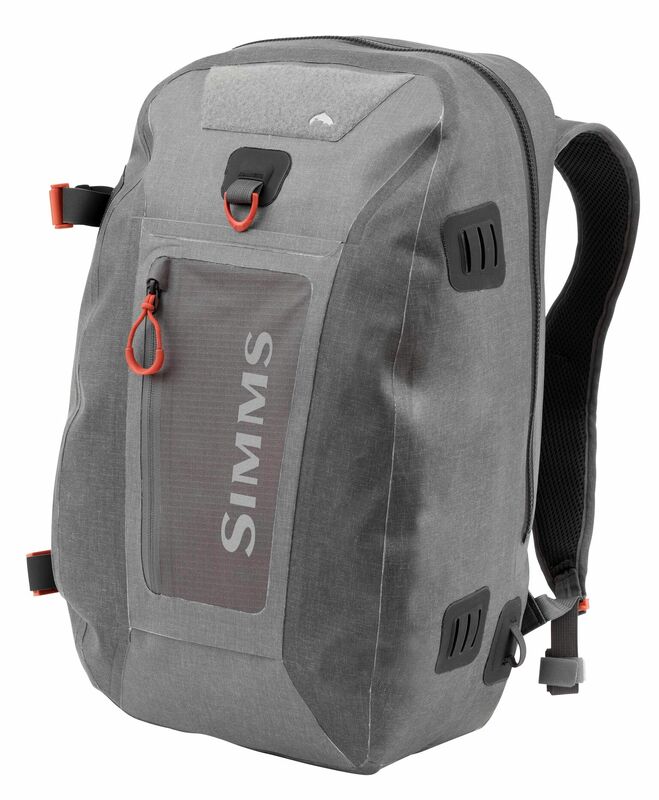 The new Simms Dry Creek Z Backpack will protect an SLR just as easily as a ham sandwich. 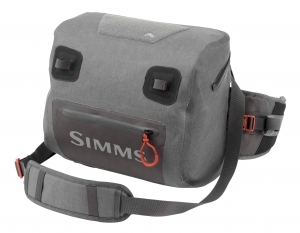 New for 2018, the Simms Dry Creek Z lineup of radio-welded waterproof bags are getting a cool facelift. Long popular with photographers and others who haul gear that really shouldn’t get wet (even if technically it can), the Dry Creek Z series retains its predecessors’ single-layer 500 dernier coated textured nylon material, but gets a series of refined updates including a new brushed-denim look. (Click images to zoom). Moreover, the zippers are now submersible-rated single-direction TIZIP models, which not only allow these bags to swim, but also make it an excellent choice for an inflatable pillow on your next waterside bivy. 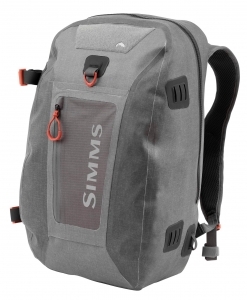 Also new this year are the Dry Creek Z series sling pack and lumbar pack (the latter of which is particularly sleek). 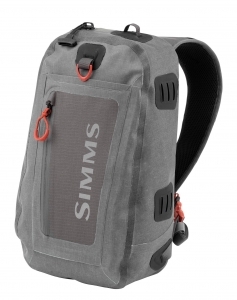 One Response to "Simms Dry Creek Z Bags Get a Facelift"
Just wondering if you know when this Simms Pack will be released? Have a big trip in Mid-Novemeber and would like to snag it before I go.